Find us on RepVisits.com. If you do not already have an account, you will need to register. 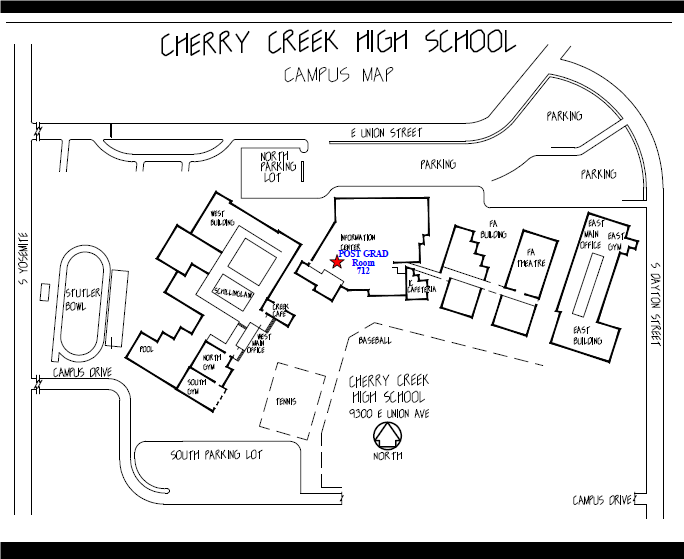 Search Cherry Creek High School to find out published Admissions Rep. calendar to schedule a 30 minute visit. We will send you a confirmation email to confirm your scheduled date and time. We will also include a parking permit pass to place on your dashboard for when you arrive. When you arrive please park in one of the visitor parking spaces in the lots off Union Ave. north of the IC Building. You may also park in any faculty lot with the parking permit, if the visitor spaces are filled. Don't forget to place the parking permit on you dashboard while visiting to prevent getting a ticket.